This is another book that I had mixed feelings about. I really quite enjoyed the style of writing, and telling a story by meandering through memories. It was great to visit characters in such detail, and see how they reacted to mundane situations – things that weren’t necessary to the story itself. However, there was a bit much of that, in the end. The book was very long with not a massive story to go with it. Also, there was a lot of foreshadowing that ended up being a bit annoying. I liked the memoir sections far more than I liked the “present day” mutterings. All those paragraphs ranting against Presidents and politics went straight over my head – it’s not something I’m interested in. I’m not particularly interested in religion either, but I thought the book managed to strike a better balance of views on that side of things. It’s also worth pointing out that whilst I quite enjoyed setting Owen’s voice apart in capitals, it was very hard to read when he wrote long-form letters. 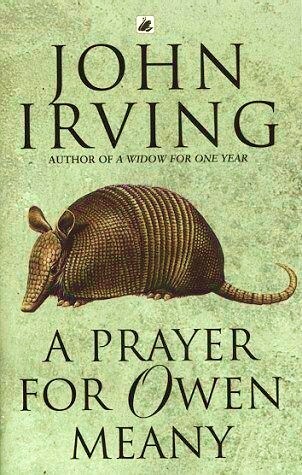 The story itself, whilst being Jonathan Wheelwright’s thoughts, was really about the life and times of Owen Meany, and he’s such a fascinating character that he really does sustain the whole thing. The way everything comes full circle, and all those little mentions early on become important story points by the end, is very absorbing. I can’t say I would recommend this to anyone, but it was a mostly enjoyable read, and I’m interested to find other works by the same author.